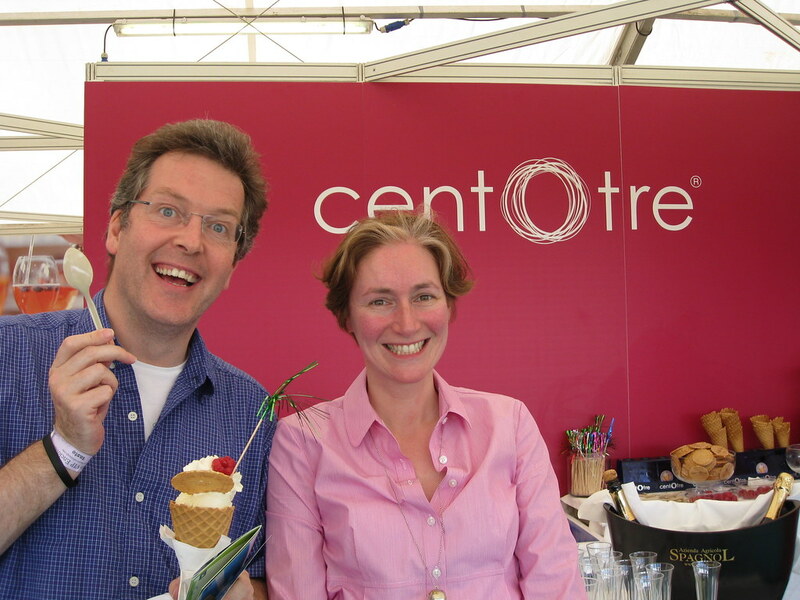 Centotre had the privilege to be invited back to Taste this year as one of the best restaurants in Edinburgh! We couldn’t have asked for a more beautiful weekend as all three days were hot & sunny and we were ready for it with one of our ice cream desserts ready for everyone. Cut the lobster in half, wash well. Crack the claws. Cut the squid into rings and wash thoroughly. Choose a large pot big enough to hold all the fish, heat the oil, add the sliced garlic and chilli. Cook for a few minutes to release the flavours then add the chopped parsley. After a few minutes add the white wine and reduce rapidly under a hot gas. Add the tomatoes and cook for about 15 minutes until the sugo looks creamy. Add the strained saffron broth and season. Choose the fish that will take the longest to cook and add this first. The claws will take longer than the body of the lobster, so add these first, then after 3 or 4 minutes turn them, and then add the lobster. Bathe the lobster in the juices but leave it flesh side up. After 4 or 5 minutes add the squid and the monkfish. Again, bathe the fish in the juices. Add the mussels, a good sprinkle of salt and a handful of parsley. Bring to a simmer, cover and leave to cook for about 10-15 minutes. Check seasoning. Serve with lots of chunky garlic bruschetta. This dish is delicious with a Pinot Bianco – such as Sanct Valentin 2006 Michael-Eppan from the Alto Adige. If you made it by and enjoyed what you tried, we would love to hear about it! Alternatively, if you missed us, please come to 103 George St and check us out!